Thanks to rising comfort levels with virtual assistants and chatbots, as well as advances in technology, voice commands and messaging apps are presenting new sales platforms. A shift has begun from consumer usage of websites to platforms like messaging apps and connected devices, so retailers and brands are trying to follow them there—and exploring the possibilities of using these channels for digital commerce. As more smartphone users continue to choose texting over talking (at least to their fellow humans), more and more products are being created that allow consumers to talk to their devices. In many cases, it is faster and more natural to use voice commands for simple transactions. 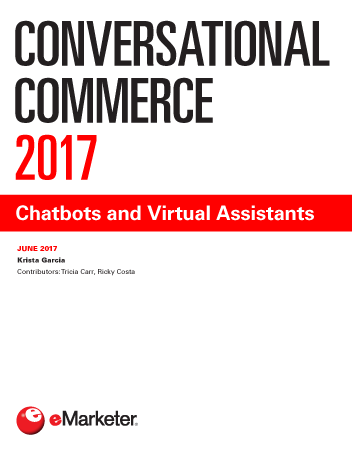 Currently, customer service is the most practical use case for chatbots and virtual assistants. When it comes to actual buying, the services are best suited for products that don’t require deep research, or for reordering something a consumer has bought before. US consumers are very different from those in China, where many users are comfortable with messenger apps that can make payments, hail a ride or even apply for a mortgage. Here, the mobile-first cohort will be Gen Z, and conversational commerce is much more likely to resonate with them than with the adult shoppers of today. "Although a majority of US internet users are not willing to shop through chatbots, one-third told Sumo Heavy that they are. Only 5% had tried it and wouldn’t repeat the process, while about the same percentage said they would."